Share the joy of Christmas with a family who otherwise will not have much to celebrate. Selecting just the right gift is a big part of the joy of giving. But...if you just can't find the time, we'll do the shopping for you. You choose the size of family you’d like to shop for this Christmas and complete our Christmas Family Request Form below →. We’ll match you with a family that fits and send you their “wish list” including who you’re shopping for, ages, sizes of clothing, etc. 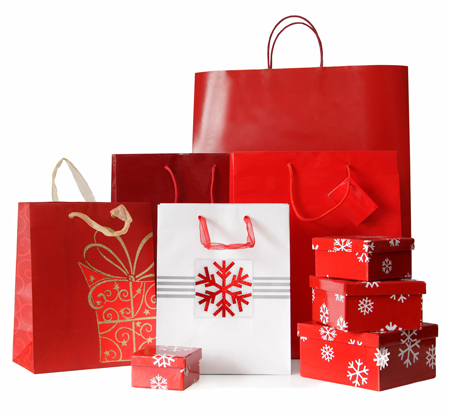 If you're doing the shopping, please deliver your gifts to our Drop-In Center by Monday, December 18th. Thanks! We know how hectic the days leading up to Christmas can be. We have several volunteers who just love to shop and wrap presents. What could be better? Donate whatever amount you wish…we’ll use it to “fill in” around the edges or you may share a Christmas celebration for an entire family. If we're doing the shopping for you, please make your donation by Monday, December 11th so we have enough time to shop for everyone. Thanks! You may also donate quickly and easily with PayPal. No account sign-up is required and you may use your credit card or checking account. Thank you! Some families will prefer that you wrap and label your gifts. Others will like to wrap every gift themselves. If your family prefers to do their own wrapping, we ask that you provide wrapping paper, gift bags, and ribbon or bows.